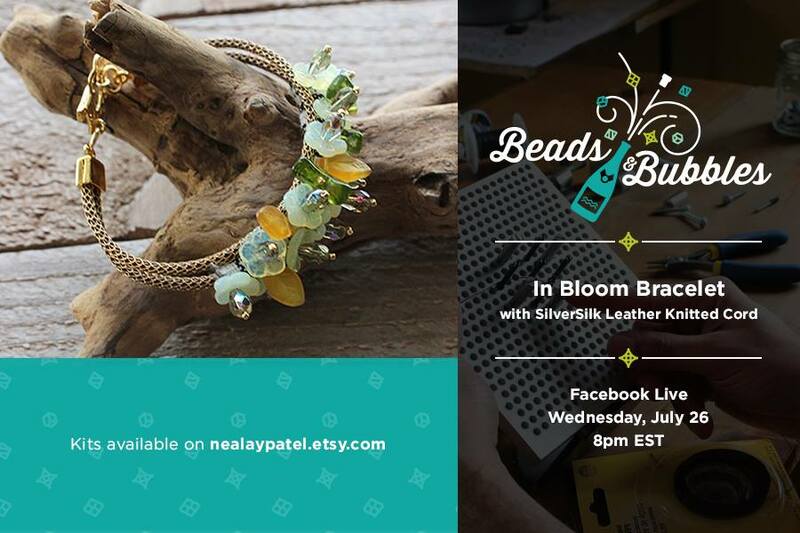 Today we welcome innovative designer, prolific author and charming instructor Nealay Patel. Nealay is an artist who crafts in beads and fiber to produce jewelry designs that are striking, colorful and textured. He is a problem-solver who sees his designs as solving a puzzle. His intricate jewelry is always highly textural and full of life, using a mix of metal and fiber and beads and wire. He has authored three books: Jewelry for the New Romantic, Jewelry Designs with Knitted Wire, and his most recent, Jewelry Made with Wire & Fiber. 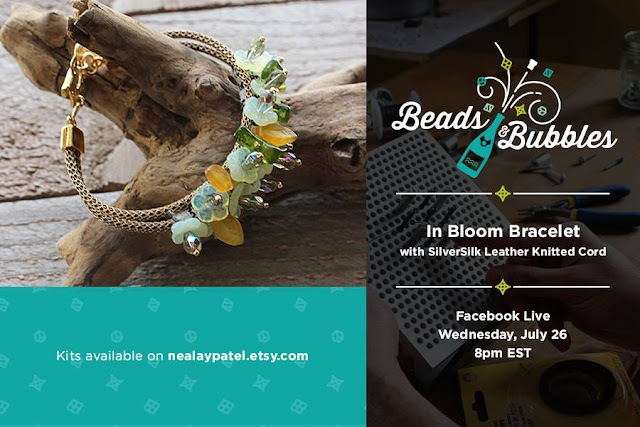 Recently, Nealay has started doing monthly Live Facebook videos featuring a kit that he sells on his Etsy site. Nealay was kind enough to share a project featuring an art bead with us. 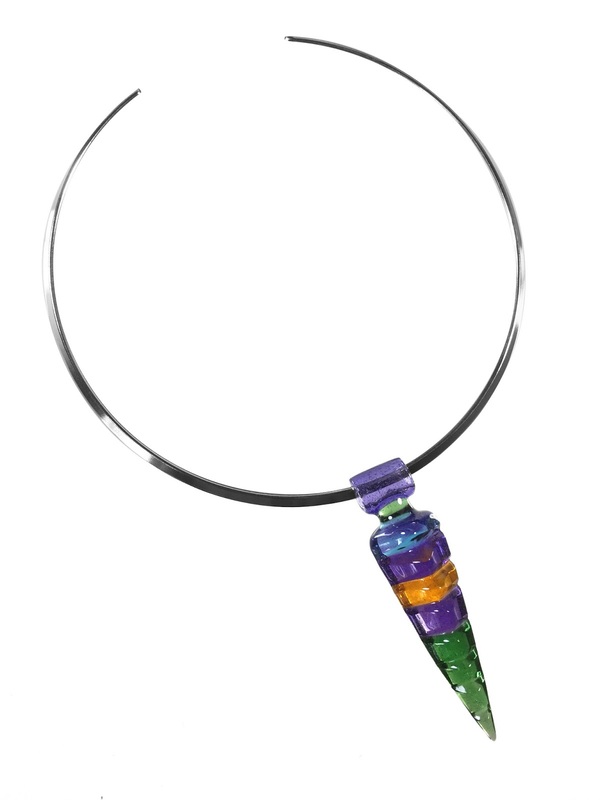 How rare is it to come across an amazing pendant that works with just about anything? 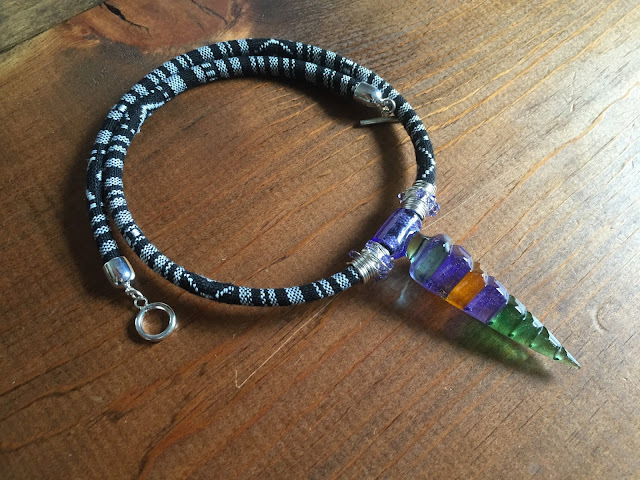 I asked a bead artisan and glass expert friend of mine to assemble a special pendant for me with just one word in mind…dagger. Open to interpretation and inspired by the challenge, Scott Griffin of Griffin Glass sent over this wonderful pendant and I have to say, he deserves a gold star! 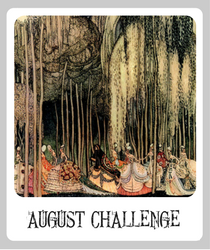 It was my turn for the challenge next and I didn’t know exactly what to do with it at first, I have to admit. I knew I loved it simply by itself! So, why clutter up a fabulous pendant with beadwork, right? I threw out a few chains and cords onto the table and the fiber cord spoke to me the most! The detailed, black and white cord worked perfect to set the backdrop for this star! I added some minor embellishments on either side, a technique that can be found in my latest book, Jewelry Made with Wire & Fiber. I also had this fabulous wire collar, from Halstead Beads, that worked amazingly with the pendant! I love the bright silver, un-textured collar that contrasts with the very textured pendant. A perfect combo for the fashion forward! Give it a try! 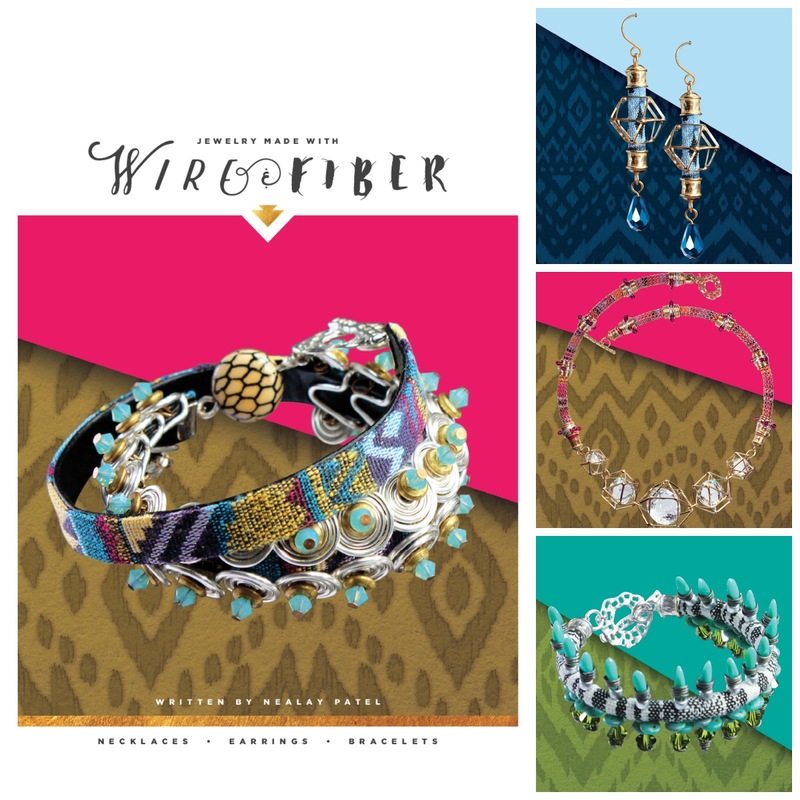 And check out his new book Jewelry Made with Wire & Fiber for some great ideas that you can incorporate into your own designs, intersperse with art beads and jazz up your style! what type of project would you love to see on a future installment of Beads & Bubbles? (one per person please!) and announced on July 14th! A project that uses fibre with sheet metal components perhaps? Had the same idea as Divya N. I had fallen in love with fiber and would like to see more creations with sheet metal.